These XM118CS cartridges are military seconds in a production of M118LR ammunition which is a highly sought after option for precision shooting. M118LR ammo is normally manufactured for military use, but sometimes comes to the public market due to blemishes and minor imperfections that won't affect the quality of ammunition. 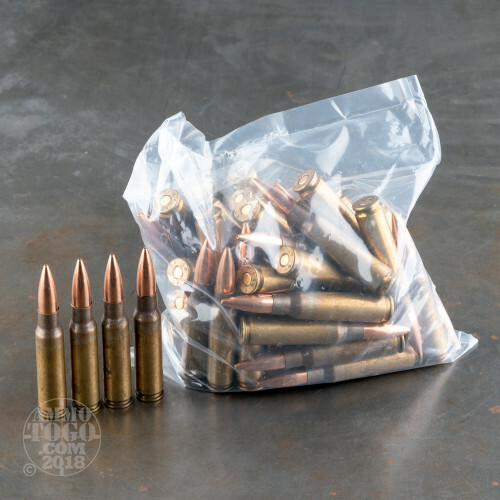 As a result, custom bolt-gun shooters and gas gun competitors can use this XM118CS bulk pack in order to gain an advantage at matches or to proof a new build with reputable ammunition that follows known data. 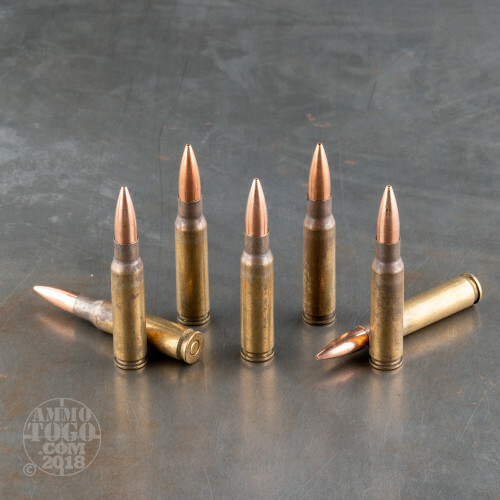 Each 7.62x51mm round is constructed using a reloadable brass casing that has been annealed at the neck and shoulder for strength. 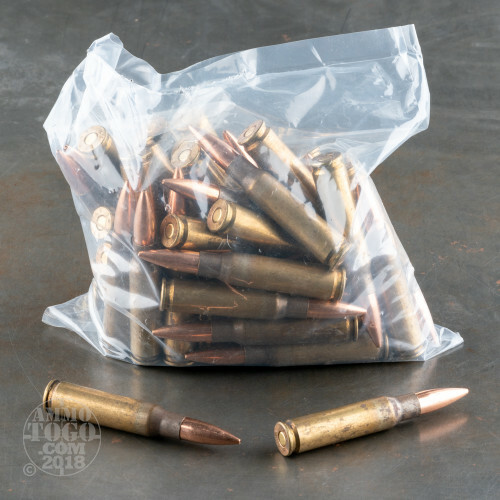 A non-corrosive Boxer primer is crimped into the base of the brass casing in order to prevent dislodgment from causing a major malfunction in the action of a rifle. Lake City tops the round off with a 175-grain MatchKing bullet from Sierra. The MatchKing is famous for its design due to an open-tip match body which includes a boat tail rear, highly concentric jacket, and consistent lead core which all contribute to superb accuracy. This 500-round pack comes packed into a single loose-packed bag of 500 rounds. Well I have to say, I was disappointed in the Ammo at first, Imagine, A freshly built LR 308, Carefully selected and pieced together with all precision parts, Get out to the range and the Nato rounds turned this beautiful weapon into a bolt action gun. PMC 308 and factory 308 ran okay, but the LC 7.62x51 175gr turned me into a bolt action gun, it wouldn't eject properly and when or if it did it wouldn't pick up the next round. I went through everything. Nothing worked. So I figured this batch of the Lake City Ammo must be the problem. So I left a review on the Ammo. 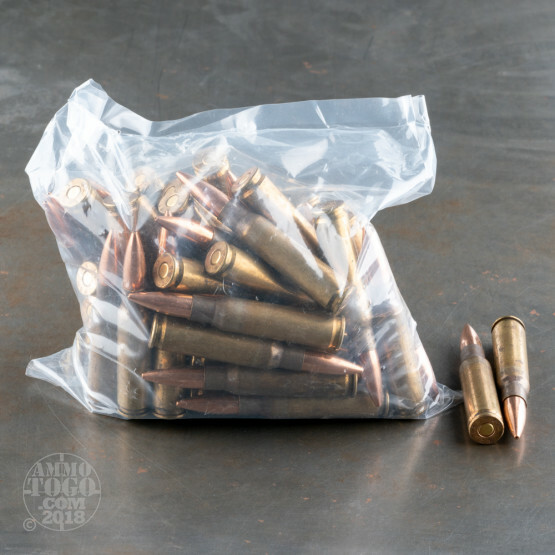 Well the very next day Joe over at Ammo to go contacted me, we went through everything that could case the issue with the weapon. After that Joe made arrangements to send the Ammo back, Well before I sent it back, I decided to try a different buffering system. Three different buffering systems to be exact. Already checked the Bolt, the Gas Tube and anything else I could think of, But, the third Buffer and Spring turned out to do the trick. Took the rifle to the range, dump 5 magazines through the rifle and BINGO no issues. All that to say this, The Ammo is running fine. I appreciate all the help Joe and team at Ammo to go have given me and I will continue to buy my ammo through Ammo to Go in the future. I really didn't expect Joe to ask for a return since I did build the rifle myself, and I did state that in another review. I did point out that I built it to have very close tolerances and that could have been the issue. As it turned out that was part of the issue. Thanks for all your help at Ammo to Go! Your Team is outstanding. You should be proud of the way you handled your dissatisfied customer. The Team at Ammo to go is outstanding. Complete control of target groups at 600 yards!! !